If you are looking for a good Design program and don’t want Adobes monthly CC plan or Illustrator. 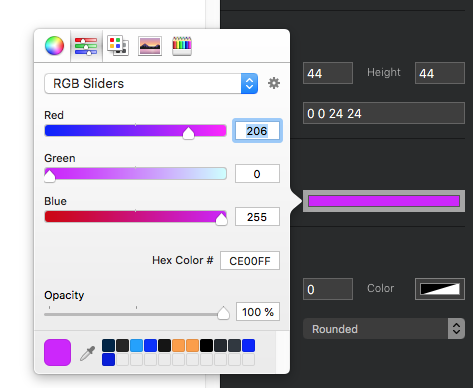 Take a look at the absolutely fantastic Affinity Designer. Entypo+, FontAwesome, Foundation, Game Icons, Gnome Symbolic Icons, Hawcons, Icomoon, Ionic Icons, Material Design Icons, Material Icons, Typicons. 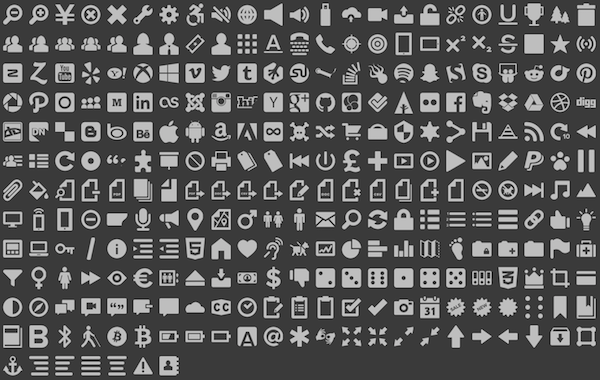 Each containing 300 - 700 searchable icons ready to use direct in Affinity Designer. It seems Affinity has some price drop during the Apple WWDC so the price is very nice right now. I tried searching for it on the Affinity forum, but no success. can you please share a link? Here’s the link to the Icon Pack v2 zip file. I wish they would set about making the page layout software that they planned to. Gone quiet on that. It’s great to see companies like Affinity springing up with great offerings. @pauland Yes i’m waiting for Affinity Publisher as well. I’m sure it’s going to be great when it’s done. From what i’ve heard developing Publisher took longer than they’d expected and they don’t want to release even a beta until it’s good enough. Meanwhile Designer has got some needed updates. Like the Studio Assets, Symbols and Text Styles and more. They’ve been focusing on their iPad photo app. Thank you so much for this @Jakerlund! I’ve been using Affinity Designer for a while now and along with migrating to Pixelmator Pro, have been able to be done with Adobe products. Affinity does a great job of simplifying a powerful tool set. Best of class in my opinion. HI Jakerlund – Thanks for the icon package link. Question: how do you deploy these icons in blocs? 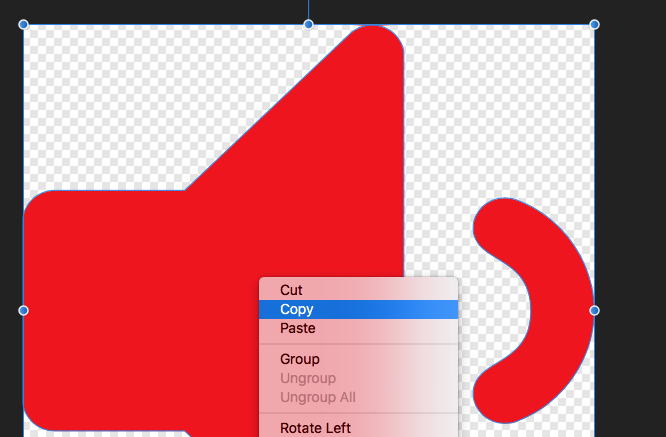 You just export hem as svg or png’s. 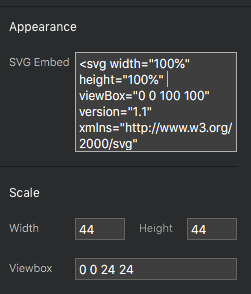 I prefer svg’s they work great in the image block, just add a class to adjust size and position. You can’t change color of the svg/png inside blocs though, it will behave just like any other image. 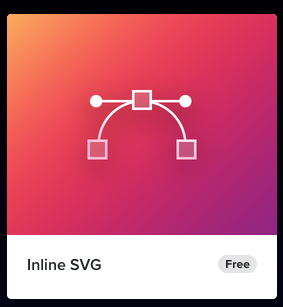 You can paste the svg code from Affinity designer. You have to go through a code editor like Sublime Text, Brackets, Atom or other to edit the code before pasting it into the “Inline SVG” brick. You should now have a black icon. Now you can change the color of that svg with the “Fill Color” of the brick settings. Hi Jakerlund, I think DanielF meant how to get these icons into the Blocs App. Yup, i realized that after i had posted, and read the whole post. So i took a few minutes to take new screenshots to explain what he actually was asking. wow…thanks all of that effort…I’ll have to give it a try, as I do have Affinity Designer & Photo and Brackets & VS Code…so crossing my fingers! Yes, that’s what I meant…I suppose there’s another process then? Will wait for Jakerlund to get some rest… THANKS! You can use any text editor to do this. Just right click and Open With. Jakerlund, thanks for the tutorial.